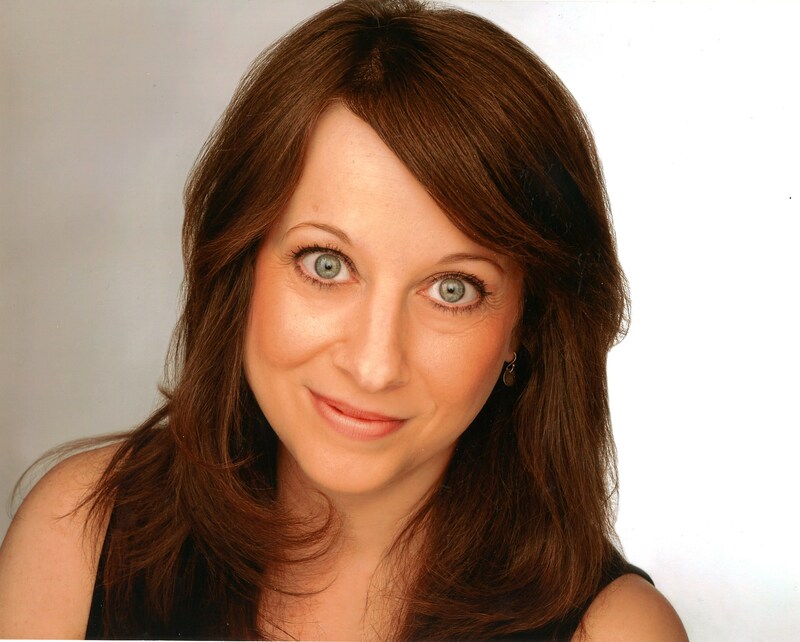 Michele Osherow is the Folger Theatre’s Resident Dramaturg and has worked on over twenty productions here. She is an Associate Professor of English at the University of Maryland, Baltimore County. Her notes on the Folger’s production of Tom Stoppard’s Rosencrantz and Guildenstern Are Dead are below. Enjoy! Rosencrantz and Guildenstern are Dead (RosGuil) was written on a lark. A friend suggested Stoppard write a play about the two luckless courtiers from Hamlet. So, he did. The play premiered in 1966. A rave review for the twenty-something Stoppard got the attention of Laurence Olivier, then director of Britain’s National Theatre. RosGuil was produced at the Old Vic the following year and Tom Stoppard has held onto our attention ever since. Reviews of The Hard Problem, which premiered earlier this year, are littered with words like “brilliant” and “triumphant” (Daily Mail) Sir Stoppard is regularly hailed as “our greatest living playwright” (Guardian). 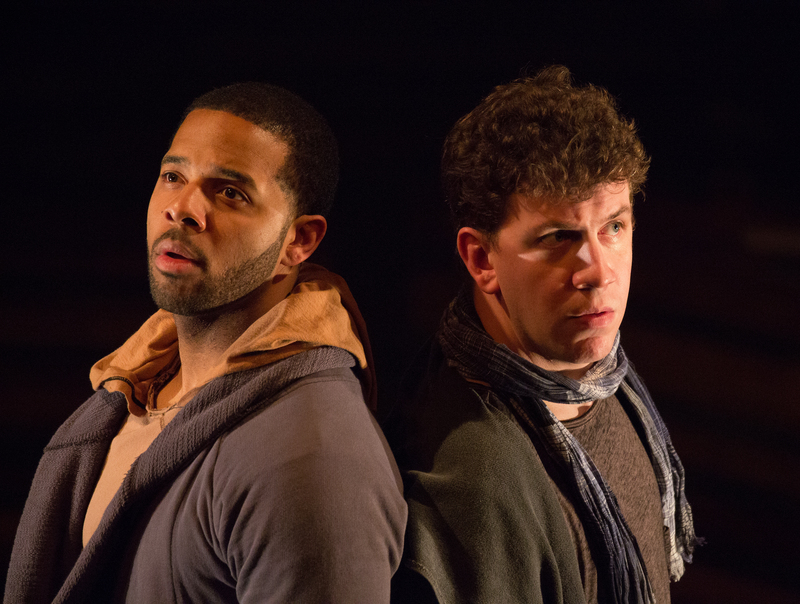 Romell Witherspoon and Adam Wesley Brown as Rosencrantz and Guildenstern at the Folger. Photo by Jeff Malet. RosGuil took its original audiences by storm for its highly absurdist and metatheatrical perspectives. The play is as much in debt to Beckett’s Waiting for Godot as it is to Shakespeare’s tragedy. The doomed friends-turned-spies have Hamlet as their source, but the bulk of the play shows Stoppard’s “Ros” and “Guil” grasping at metaphysical straws, awaiting cues, direction, any reason to move forward. Critic Paul Delaney writes that the two are brought “from the wings of Stoppard’s imagination…to centre stage” (Moral Vision). Stoppard denies any philosophical agenda in the play; still, it has been called existential, even nihilistic, a vehicle to explore determinism. The titular characters recall being awakened by a messenger. Then they wait… gleaning what they can from entrances and exits by a troupe of players and members of Danish court. As in Beckett’s play, time is spent in anticipation and inquiry. But Stoppard has an advantage: we know the story of Hamlet. Moreover, Stoppard’s title gives away the end—all of our ends. Before the close of our own narratives we hope, like Ros and Guil, to glimpse our significance. But meaning is shifty. Any existential measure of Stoppard’s play affects the value assigned to Shakespeare’s. R&G with Gertrude and Claudius. Photo by Teresa Wood. Director Aaron Posner sets this production in a theatrical attic—an alternative play-space that rouses curiosity and fixes treasure to memory. Deviating from the script’s call for “a place without any visible character”, the fantastically offbeat set by Paige Hathaway is crammed with materials salvaged from Hamlets past: chairs, weapons, costumes, goblets, celestial objects, instruments, letters—there’s even a kind of beaten rampart, and a Yorick skull or three. The cast of RosGuil perform on Paige Hathaway’s set. Photo by Teresa Wood. That Stoppard’s “bewildered innocents” are at home in an attic reminds us that the work nears its fiftieth anniversary. 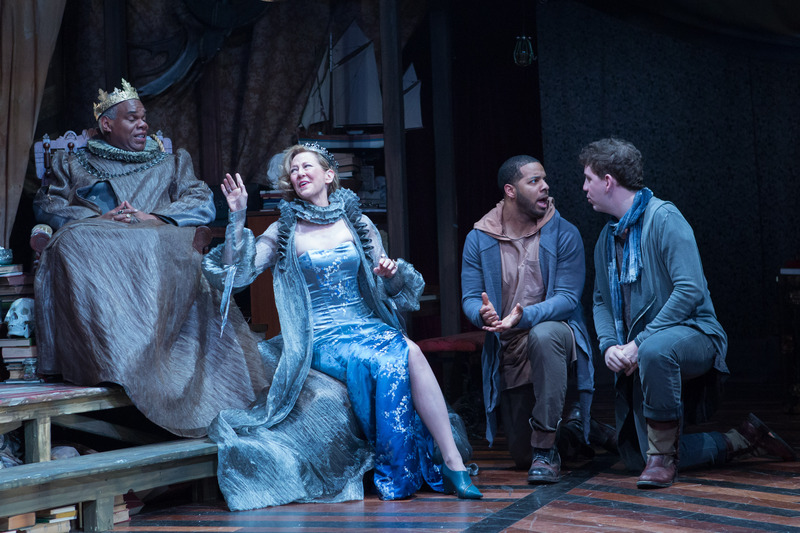 Though there are no cobwebs at its corners, the play’s audiences are also no longer caught off-guard by metatheatrics, or by toying with Shakespeare. RosGuil haunts our contemporary stage. It paved the way for an explosion of Shakespeare appropriations and adaptations. It affirms that the quest for knowledge—be it mysteries of the universe or the seemingly insignificant characters within it—is very much the stuff of drama. This is Stoppard’s perennial subject; though it’s not until Arcadia that Stoppard writes, “It’s wanting to know that makes us matter,” the truth of it is at the heart of his earliest success. Stoppard at the Folger: Arcadia (2009) and Rosencrantz and Guildenstern Are Dead (2015) directed by Aaron Posner. Eric Hissom as Bernard Nightingale in Arcadia. Photo by Carol Pratt. Romell Witherspoon as Rosencrantz in R&G. Photo by Teresa Wood. Erin Weaver as Thomasina Coverly and Cody Nickell Septimus Hodge in Arcadia. Photo by Carol Pratt. Holly Twyford as Hannah Jarvis and Eric Hissom as Bernard Nightingale in Arcadia. Photo by Carol Pratt. Biko Eisen-Martin as Hamlet and Brynn Tucker as Ophelia in R&G. Photo by Teresa Wood. Adam Wesley Brown as Guildenstern and Romell Witherspoon as Rosencrantz in R&G. Photo by Teresa Wood. Ian Merrill Peakes as the Player in R&G. Photo by Teresa Wood. Stoppard’s truths cover an extraordinary range: moral philosophy, chaos theory, quantum physics, rock ‘n’ roll, religion and brain science are only a few. And then there are truths he could not have anticipated. Think how spot-on the Player’s remark is to a culture gripped by reality TV, twitter, snapchat when he says what makes “existence viable,” is the knowledge that “somebody is watching.” If only that was sufficient for Hamlet’s two schoolfellows; that it is not seems reason enough to mourn them. 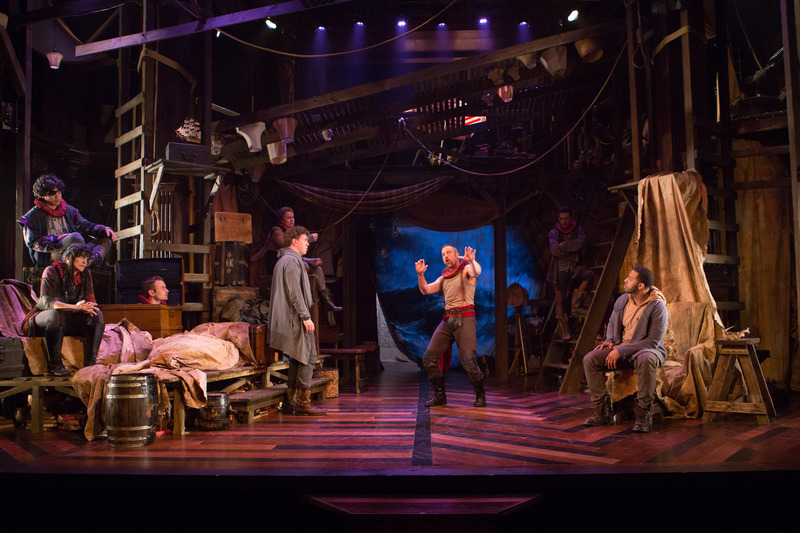 Rosencrantz and Guildenstern Are Dead is on stage through June 28th! Katharine is the former Humanities Programs Assistant at the Folger.